The Prime Minister has told MPs that "opposing no-deal is not enough to stop it". Addressing the House of Commons, Ms May urged MPs to back the Withdrawal Agreement and Political Declaration in the next meaningful vote, which she said would take place "when we achieve the progress we need" in negotiations with the EU. "Having secured an agreement with the EU for further talks, we now need some time to complete that process," Ms May said. "On Thursday we will bring forward an amendable motion. This will seek to reaffirm the support of the House from January 29 to support the government in seeking changes to the backstop, and recognising that negotiations are ongoing. "When we achieve the progress we need we will bring forward another meaningful vote." The Prime Minister reiterated that she did not want the UK to leave the EU without a deal. If there is still no deal by February 26, the government will make a statement to MPs on that day, and hold a debate on an amendable motion on February 27. "We now all need to hold our nerve to get the changes this House requires and deliver Brexit on time," Ms May added. 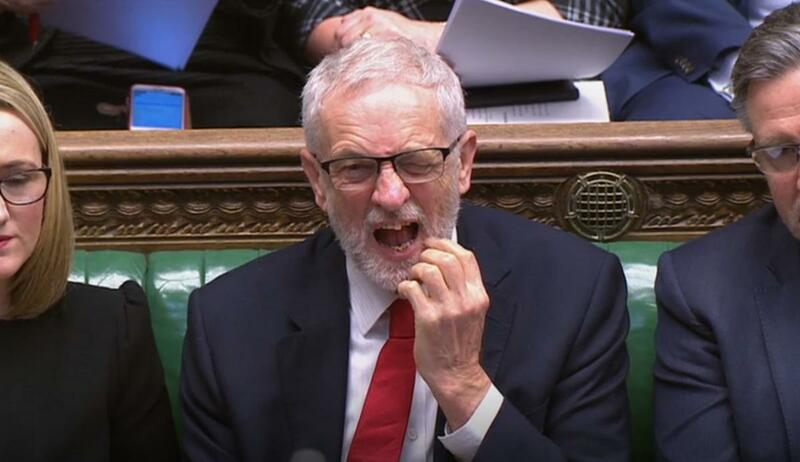 However, Labour leader Jeremy Corbyn accused Ms May of "running down the clock" in the hope that MPs would be "blackmailed" by the fear of a no-deal Brexit, and throw their support behind a "deeply flawed deal". "This is an irresponsible act," said Mr Corbyn. "She is playing for time and playing with people's jobs, our economic security and the future of our industry," he said.